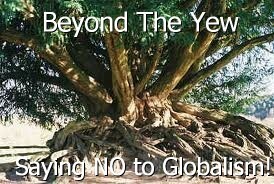 11 | November | 2011 | Beyond The Yew : Saying NO to Zionism! Iran has gone many times beyond its legal obligations to prove its civil intentions to the IAEA, the country’s envoy to the International Atomic Energy Agency, Ali Asghar Soltanieh, told RT after the release of the Agency’s report. The 25-page report delivered by the UN atomic watchdog has gone down with the western media as “ the strongest evidence yet ” that Iran is close to developing nuclear weapons. The Agency unveiled that Tehran has been and may still be gathering information required to make nuclear arms, testing high explosives and detonator development to set off a nuclear charge, and carried out computer modeling of a core of a nuclear warhead. But Iran’s envoy to the Agency, Ali Asghar Soltanieh, expressed his exasperation that the Agency abuses its safeguard function to give political tools to its members. “This report is not professional and is not balanced, and with political motivation and under political pressure from the US and couple of other western countries,” said Soltanieh, adding that the materials comprised in the annex had been confidentially handed over to Iran only last week. “Therefore this release to the public is against principles of confidentiality,” he said. Still, there is “nothing new” in the revealed report. Moreover, in last six years Iran has not received a single “material document” to support allegations that it pursues the development of nuclear weapons. “We have been working closely with the IAEA for over the last eight years; we have had over 4,000 mandate inspections in Iran and over a hundred snap-shot visits. The agency reflected continuously all of them. They have not found any evidence of diversion, even one gram of uranium going to military use,” Soltanieh told RT. Soltanieh recalls Iran met with the Agency over the allegations some four years ago and “finally on 117 pages proved that all these allegations are baseless and fabricated.” Two months ago Iran even invited Deputy Director General of the IAEA, Herman Nackaerts, to visit the R&D facility of the centrifuge enrichment to prove Tehran’s wish to cooperate with the Agency. As for the worries that Iran’s civil nuclear program might be translated into military terms one day, Soltanieh reminded that there are 400 reactors all over the world and nuclear fission can be used both for civil and military purposes – but it does not necessarily imply that every country, which has a reactor, will be building nuclear weapons.